The question is, is the Xbox One X display message above correct or misleading? It says that games will be upscaled (meaning from 1080p to 4k I assume) but is that really what’s happening? Total bummer for me, had been waiting a long time for this. 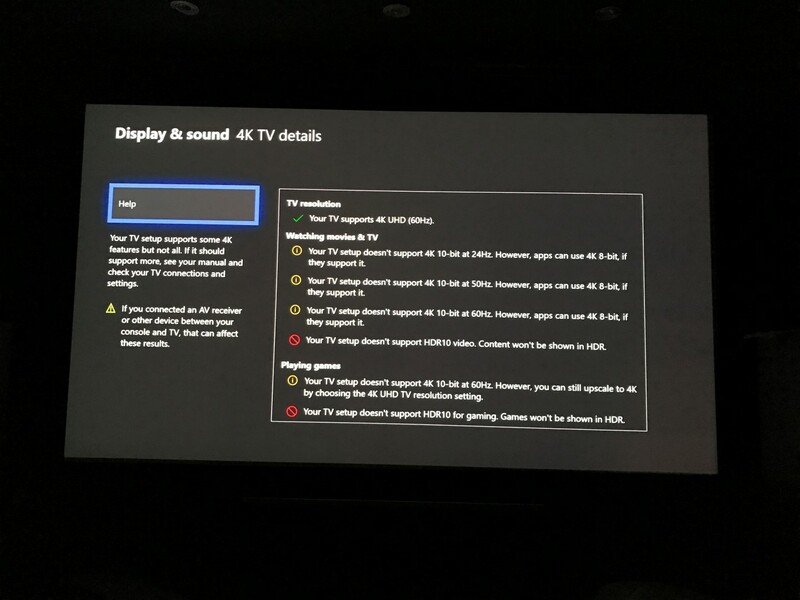 We’ll see what the next couple days bring as far as a response from Microsoft but I’m not holding my breath, I’m hoping that someone figures out what is actually happening on this display and other TV’s that are in a similar boat. I would think that the only way to tell would be is if you had a game that rendered at 1080p at 60fps and 30fps at 4k, if you played it and it was 60fps that you’ve confirmed the upscaling, and if you play it and it’s 30fps, then it appears like Microsoft’s game message above is incorrect. 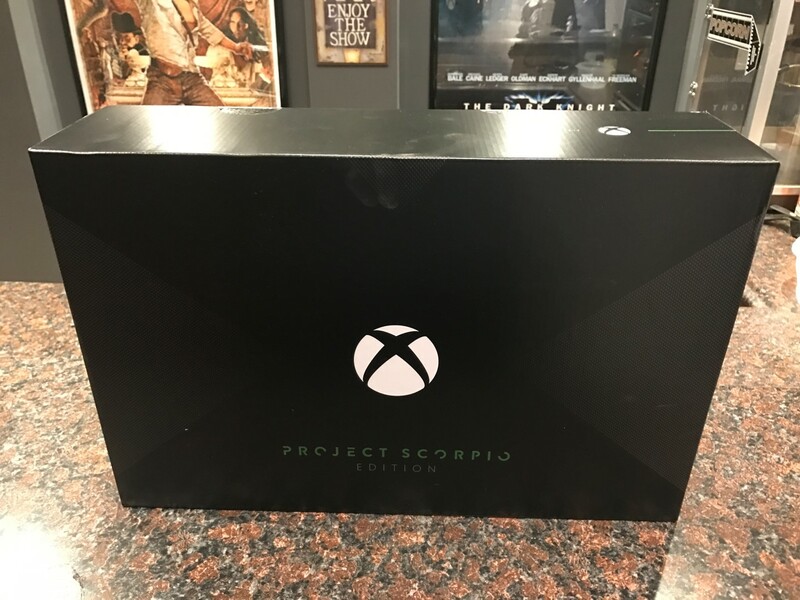 I was going to return the Xbox One X Scorpio edition to Best Buy but I decided that I’d keep and see how it goes after hearing that some of the games I play like NBA2k18 play a lot smoother and that load times on some games are dramatically reduced. I was also thinking about selling my Epson projector after finding this out a couple days ago but have decided to keep it for now because after investigating the alternatives there just wasn’t a good secondary option available in this price range yet. I may try some experiments with my low lag Viewsonic Pro8100 with it to see if that reveals anything. A lot of people who have the Epson 5040 or 5040ube already have this device mainly for trying to get HDR with 4k/60 from the PS4 Pro and some streaming devices. Unfortunately I don’t have one to try out.